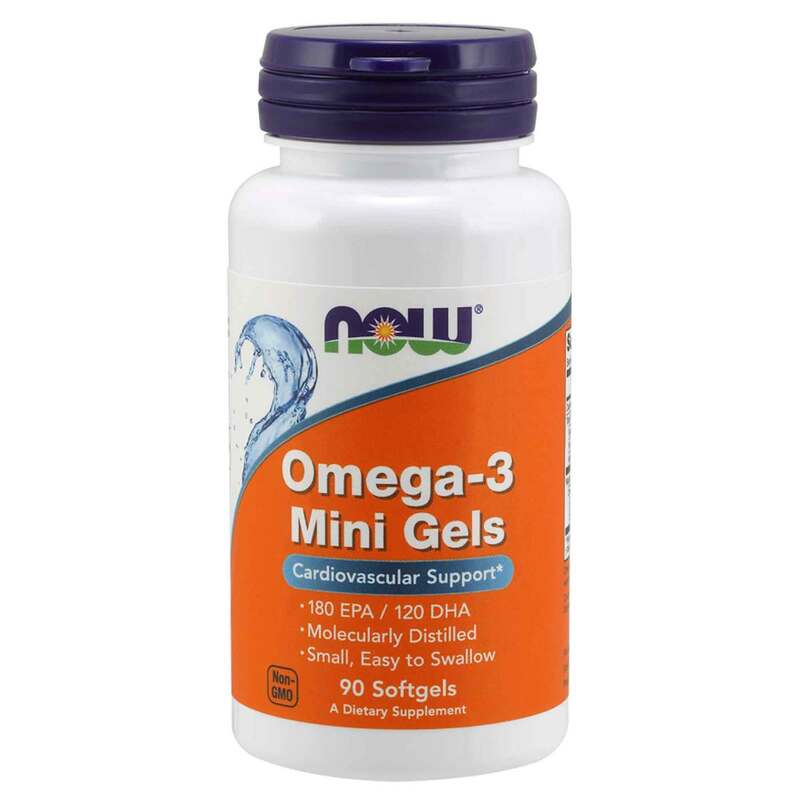 Omega 3 Mini Gels by Now Foods offer a natural fish oil concentrate option when it comes to getting omega support. Now Foods tests their products to make sure they they are free and clear of harmful chemicals. Order yours today and try it for yourself. Notes: Contains no sugar, salt, starch, yeast, wheat, gluten, corn, milk, egg, shellfish or preservatives. Recommended Use: As a dietary supplement, take 2 softgels 1 to 3 times daily with food. The customer reviews posted below are based on individual consumer experiences and may NOT necessarily represent what expected results will be from using or taking Now Foods Omega 3 Mini Gels - 90 Gels. These results may not be typical and you should not necessarily expect to receive the same results. Actual results may vary. Wonderful, perfect. Great to swallow because of the mini capsules. Omega 3 in a perfect size. This Omega 3's mini gels are easier to swallow. Indicated for those who have problems in swallowing larger capsules. It does not cause digestive problems. I always use this Omega-3, I like this brand. Use 1 to 2 mini gels per day. It has a good dosage of EPA and DHA which are beneficial acids for health, being an ideal dosage and with a good balance. The benefits of omega 3 are in the protection and improvement of cardiovascular and brain health. It helps in the memory and I feel more concentrated during the day and my income has improved. My heart feels calmer. Helps eliminate inflammation of the whole body. 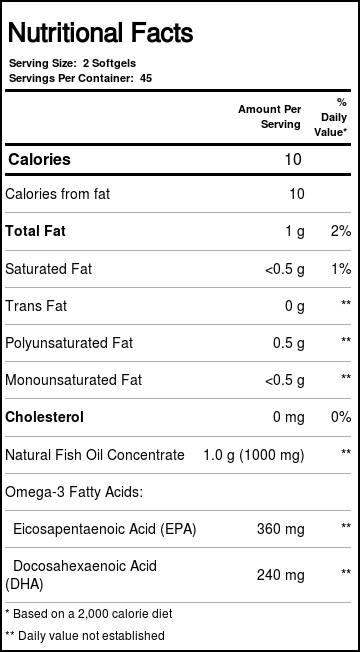 Omega 3 is a good fat, which is found in sea fish. My family uses and likes this supplement. It is difficult to find fish to consume daily, so it is important to take Omega-3 because the Omega 3 supplement is more concentrated. I recommend this Omega 3 to my friends and family. It met expectations. I recommend. They loved the mini-gels \u03c93 to my mother. They are easy to swallow and offer good support for the heart. Now is a company I trust and I recommend this product.